At a time when mortgage rates are still in the bargain basement, one would think that a large majority would be taking advantage by refinancing their old mortgages. But that doesn’t appear to be the case, according to a new National Housing Survey from Fannie Mae. The mortgage financier asked several thousand homeowners if they had ever refinanced their existing mortgage, and 46% indicated they had not. 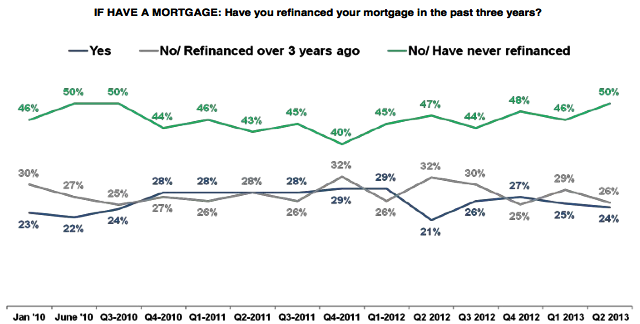 Of that 46%, seven percent tried to refinance in the past 2-3 years but were not successful in doing so. The other 39% never bothered. Additionally, only 25-30% said they refinanced during the past three years, a period where mortgage rates hovered at or near all-time lows. That’s not all; another 90% who obtained their most recent mortgage 3+ years ago said they were “not very likely” to refinance in the next 12 months. 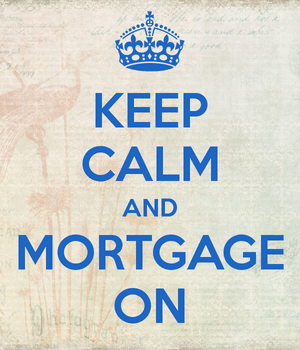 Why Don’t More Homeowners Refinance? Fannie Mae discovered that there is a “dormant period” or “homeownership honeymoon” for the first six years when borrowers aren’t as likely to refinance. The majority that refinanced did so after owning their homes for six to 15 years, and then levels drop off again deeper into the loan term. 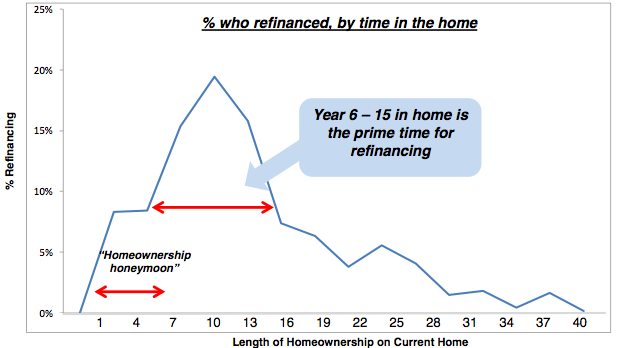 Interestingly, “years in home” is the strongest indicator of past refinancing behavior, though you could just chalk that up to more time increasing the odds of borrowers taking action. Fannie tried to put their finger on why more homeowners don’t refinance, and came up with a few conclusions. They found that those who haven’t refinanced tend to be younger, own their homes for a shorter period of time, and have lower income/education levels. Respondents also indicated that refinancing wouldn’t “reduce payments enough,” or that closing costs were too high, and that they didn’t want to extend their loan term, aka reset the mortgage clock. For those who attempted to refinance but were unsuccessful, the need to put down more money was an issue, though Fannie was quick to point out that HARP should alleviate such concerns for many. Borrowers also expressed concerns about the process being too complicated, not trusting lenders, and the belief that they wouldn’t qualify for a refinance. Who Has Refinanced and Why? While it sounds like very few have taken advantage of the low rates on offer, more than half of those surveyed have refinanced at some time or another. And of those, 90% have owned their home for at least five years, while just 46% are first-time home buyers. Again, experience seems to be correlated with propensity to refinance. First-timers might tread lightly before considering a refinance, perhaps still coming to terms with being homeowners and holding a giant mortgage. Additionally, 91% who refinanced went with a fixed-rate mortgage, and the average mortgage rate for these borrowers is 5.02%. The refinance group also seems to be marriage-happy, with 85% indicating being married. Perhaps married couples pay more attention to their finances. Age also seems to be a factor, with 74% of those who refinanced 40 years or older. All in all, it appears as if far fewer homeowners refinance than should be expected, especially in the remarkable interest rate period we’re enjoying at the moment. This is certainly problematic, given the fact that the Fed spent billions to drive down mortgage rates. There’s also a rather large group of borrowers who haven’t taken advantage of HARP, despite its liberal underwriting guidelines. No wonder the FHFA launched a national campaign to promote the program four years after it was launched. You also have to wonder if the negative experiences from the mortgage crisis have kept borrowers away from banks and lenders, even if assistance is readily available.